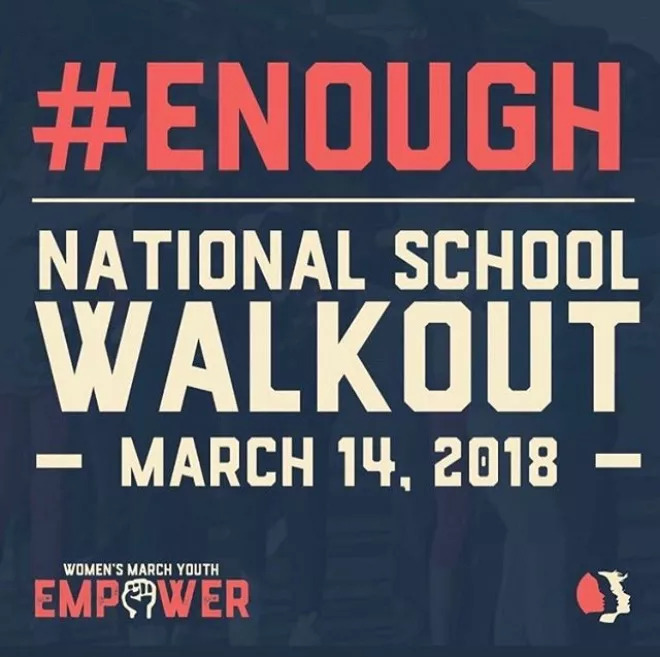 Members of the activist group EMPOWER have organized a nationwide school walkout on March 14th at 10:00pm. The date will be the one month anniversary since the school shooting in Marjory Stoneman Douglas High School that left 17 people killed. Students are expected to walk outside of their schools for 17 minutes in order to commemorate the lives lost, as well as to pressure politicians around the country for stricter gun control. While it is up to the students whether or not they want to walk outside, it is important to keep in mind the safety concerns that arise with such an action. The high school cannot condone walk outs or protests because they can compromise student safety. If students walk out, they would be unmonitored and unprotected to any dangers that may occur outside. Likewise, should students decide to walk outside, they would face the standard punishment for leaving the building without permission: in school suspension. With talks of the event circulating around our school, administration has organized an indoor event instead, to help commemorate the lives lost. At the beginning of period 3, students will have the options of different activities such as writing letters to Congress, or to the victims in the hospital. Then, at 10:00 am, the time of the nationwide walkout, students and teachers will have the option to walk out into the hallway for 17 minutes of silence and create a united chain of people in order to commemorate the lives lost. In addition to the 17 minutes of silence, students are encouraged to wear orange in memoriam of the victims. The Valley Breeze and other media has been invited to cover the school wide activity that day. *Update 3/13/18 10:00pm: School has been cancelled for March 14th due to Winter Storm Skylar. Administration will decide whether or not to reschedule the event to another date. When the decision is made, we will update the article or post a new article with any further news.